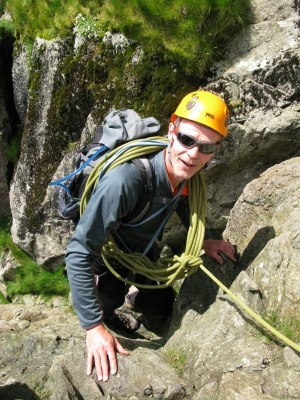 We run many of our mountaineering courses in the Lake District where we call home. The area is steeped in mountaineering tradition and has many high quality scrambles and easy rock climbs set amongst the dramatic Lakeland landscape and culture. There are high mountain crags with long scrambles, and shorter valley options for more instructional days or bad weather. We can either teach you scrambling rope-work and skills to get out independently, or take you on a more guided day to visit specific routes or cover lots of ground. Follow the link for more detail – Guided day or Instruction – what’s best for you? We regularly run bespoke mountaineering and scrambling courses in Scotland, the long dramatic routes of Skye, Glencoe and Ben Nevis are regular venues for us. Scrambling courses can range from rough walking terrain just requiring care and basic techniques to steep exposed ground verging on easy rock climbing requiring ropes, harnesses, helmets and technical equipment. Note – We only run technical scrambling courses at a 1:2 instructor client ratio max. We can supply additional instructors for larger groups wanting technical scrambling or you can look at Group Programmes for group activities which can include easy guided scrambles for larger groups.